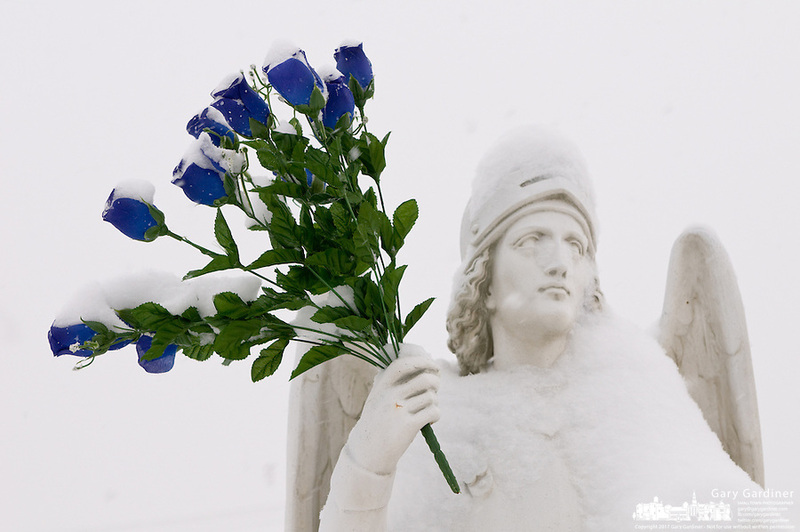 Plastic blue roses coated with fresh snow are held in the hand of a statue of St. Michael at a Columbus, Ohio, Catholic school. Photo Copyright Gary Gardiner. Not for reproduction without written permission.